I've been busy checking out the various blogs that I follow and came across several that were included in the Around the World Blog Hop. Gina over at Clay and Fiber one of the blogs I follow "tagged" me. Gina doesn't post every day, but when she does, her blog holds a cornucopia of her artistic endeavors along with various insights to the flora and fauna that inhabit her neck of the woods. Each of her clay pieces incorporate her two passions "clay and fiber", hence the name of her blog. Hop on over there and have a look there too. Thanks for stopping by here. Have a look around. I hope you enjoy your visit. Right now I'm work on several things and having difficulty settling down to one. As a member of Tangled Textiles, I'm working on my next piece. Vicki selected the topic of "process" and I have been deciding which Celtic knot I'm going to use as the wreath in my piece. I decided that this is the one I'll use as my base. You can read about the inspiration for the piece here and here. I'm also working on doing some soft edge piecing. This technique, developed by Jinny Beyer, was taught at a recent workshop in my area. We created one block to the basted point. It still requires hand work. I enjoyed it so much that when I got home, I created three more. These all still need hand work; something that can be done while watching TV in the evenings, or at an up and coming quilt retreat. 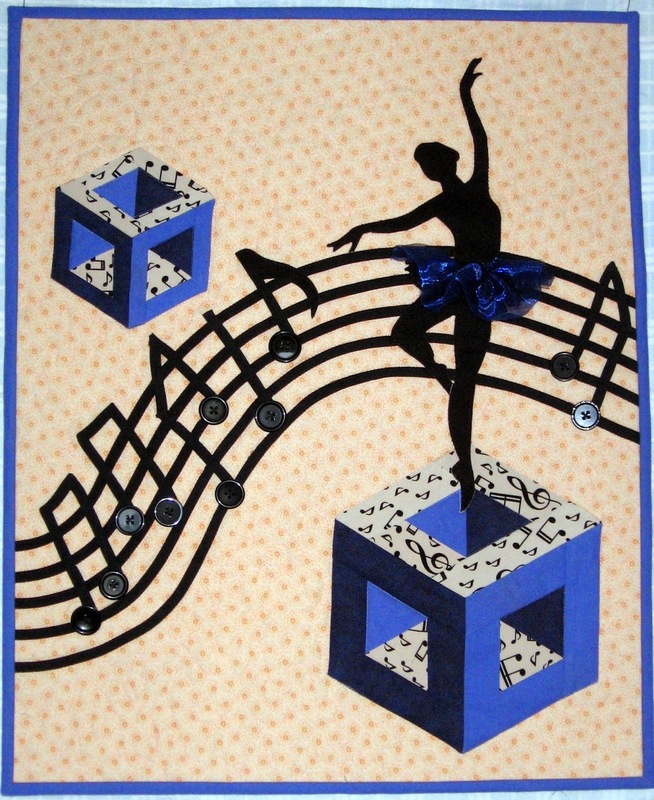 Quilters Without Borders is another group that I enjoy. This group studies the textiles, textures and colours of various countries. We studied the quilts of Japan, and are now working on those of Australia. 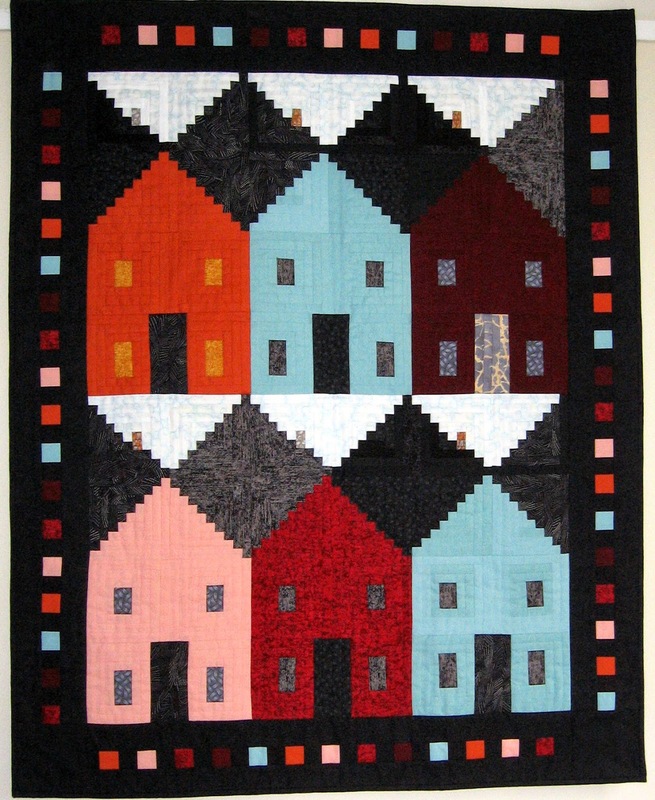 I'm working on creating the block "Seven Sisters" with various Australian textiles. Using mirrors and 60 degree diamonds, I'm hoping to come up with something that has a sense of "down under". Here is a sampling. Is my work different than others? I don't think so. I cut apart fabric and sew it back together into a pleasing pattern; I enjoy the rhythm of handwork; and am excited when I discover new ways of manipulating textiles and fiber. I enjoy working to challenges. It's hard to explain, but I continue to create to see what combination I can come up with next. My process for accomplishing that? Let's just call it a "fly by the seat of your pants" kind of process. It entails one or all of brainstorming, sketching in a journal, perusing old magazines, surfing the internet; whatever gets the creative muse going. On that note, I'm off again to explore my stash and see what I can come up with next. Next stop on the blog hop will be across the country to Jackie of Manitoulin Island in Ontario. She's a 3D embellisher extraordinaire! After that you can cross the Atlantic and visit with Nicolette in the Netherlands who has a flair for the modern esthetic. If you haven't already, you can also visit with Lisa in upstate New York or Vicki down under in AUS. Glad I found your blog! I can't wait to read more of your posts. It's always fun to see the variety of projects you have on the go!